My wife had to make a run out to Wal-mart earlier today so, while she was there, I asked her to pick up something simple for dinner. She saw this in Wal-mart's freezer section for $5.98 and, thinking it looked good, decided to pick it up. We ended up having it after I got home from work and our overall opinion of it is mixed. One of the biggest attractions with this product was the promise of convenience. And, for the most part at least, I think it lived up to that promise. There were a couple different ways of making this product. She chose to use the boiling method and the food was prepared in a reasonable amount of time without any significant effort. As far as taste goes, I was admittedly surprised by this product. I don't think I would ever mistake this for homemade. But, considering it was a frozen product, it definitely exceeded my expectations. 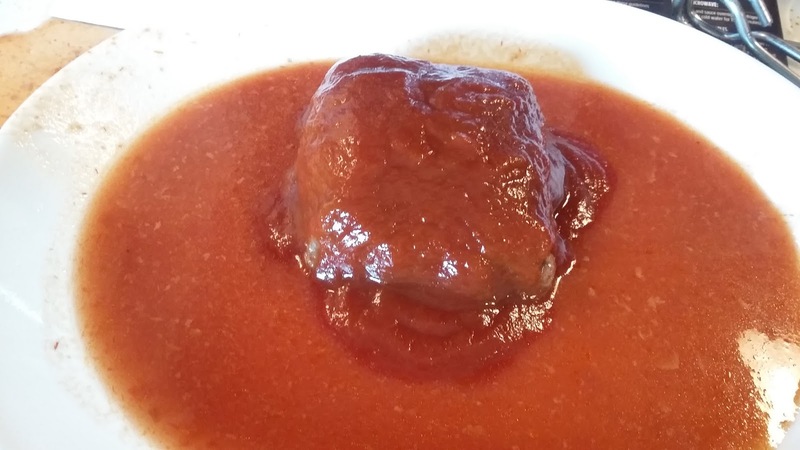 The sweet ketchup glaze had a good flavor to it and the meat (unlike many other frozen meat products) wasn't tough and rubbery. The potatoes were also decent. They came out cooked the way I like them, a little firm without being too tough to eat. They also had a good flavor, especially when I dipped them in the ketchup glaze. Unfortunately, this product had one big problem, quantity. The package says there's enough for six servings but, unless you have six people who want a meat loaf cube on a toothpick, I just don't think that is accurate. 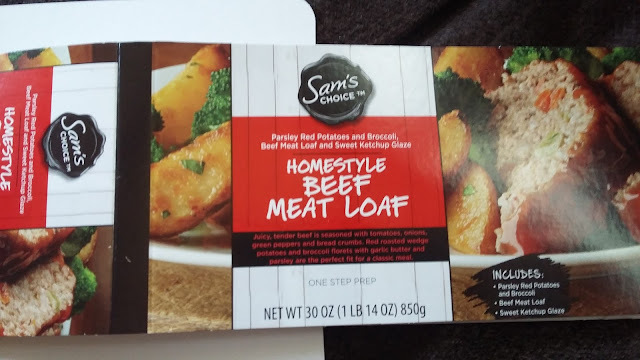 In fact, the meat loaf ended up being so small, we had to make something else for our oldest daughter (who, up until that point, had planned on sharing it with us) because, if she had eaten this with us, there would never have been enough. Heck, I'm not convinced she couldn't have eaten the whole thing herself. As a result, I just can't see us buying this product again. The meat loaf had a good flavor but the lack of quantity just doesn't make it worth the money.